Provide us with some details and then choose the wines you'd like to receive. After you've completed this you’ll receive a link from us to distribute to your guest list or put on your wedding website. This link will connect your guests to Tinhorn Creek. 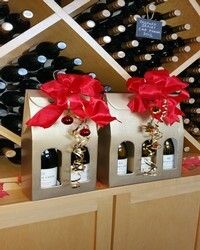 The rest is up to us and your wines will be shipped directly to the address you provide! As a special thank you for including Tinhorn Creek in your registry list, we will send you a bottle of your choice of an Oldfield Series wine on your First Anniversary. Choose specific wines to build your cellar or amazing experiences at our winery to celebrate. Please complete the form below. Celebrate your life together and relive those beautiful memories and moments each time you pour a glass of Tinhorn Creek wine. Select which wines are your favourite and then have your wedding guests help you create your dream wine cellar. Only 50 are produced each year and each one of them is signed by our CEO/President Sandra Oldfield. Whether your new to wine or an oenophile, a Crush Club membership is the gift that keeps on giving. 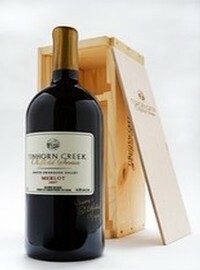 You'll receive two shipments per year of a selection of Tinhorn Creek wine as chosen by our winemaker. Enjoy a romantic dinner for two in the vineyard prepared by our celebrated Chef Jeff Van Geest of Miradoro restaurant. Look out at panoramic views of the South Okanagan while enjoying a decadent three course dinner paired with Tinhorn Creek wine. For outdoor enthusiasts, enjoy the incredible veiws of the Okanagan Valley and a delicious picnic lunch with wine, prepared by our award winning restaurant Miradoro. Let all five senses be tantalized as you are guided by our Winemaker through a private tasting of Tinhorn Creek library wines. A charcuterie plate prepared by Miradoro Restaurant accompanies this amazing experience. 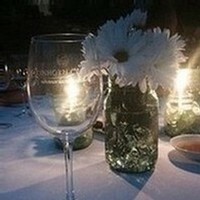 Are you interested in purchasing Tinhorn Creek wine(s) for your wedding event(s)? Yes No Tell me more!